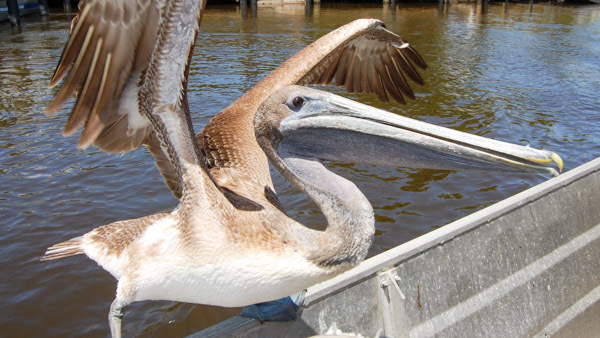 Even though adults weigh in at an impressive 8-12 pounds, the Brown Pelican is the smallest of all eight pelican species. It lives year round in Florida, unlike the White Pelican who lives here only during the winter. 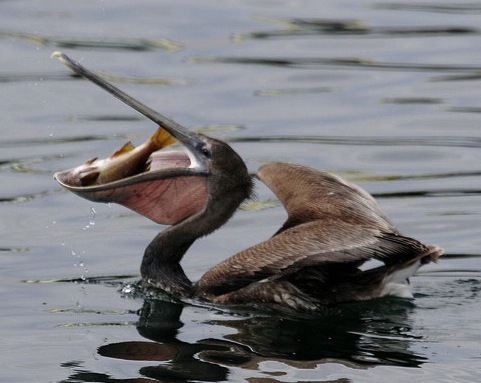 Brown Pelicans dive into the water with a giant splash and scoop up fish with their long beaks. Their famously stretchy throat pouches allow them to lift a fish and the water that surrounds it into the air, then dump the water and swallow just the fish. If alligators don’t eat fledglings, they usually mature in 1-2 months. During that time they’ll eat up to 150 pounds of fish, fed to them by both their parents. Wonder what they sound like? 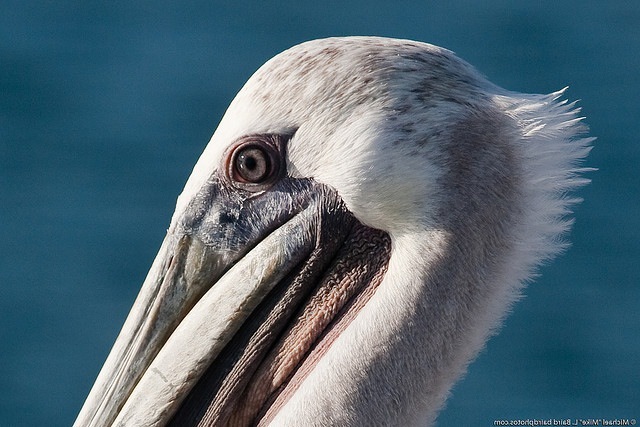 Listen to the Brown Pelican’s recorded call on the allaboutbirds.org website. Pelicans are a popular sight on an Everglades City airboat tour. Most of our guests spot one or more of these large birds. Photos courtesy of Flickr user Mike Baird. © 2014-2019 Captain Jack's Airboat Tours. Digital marketing by Fundibu.